Note: While this review will remain spoiler-free, it does assume you’ve read all previous Elder Races books and novellas. 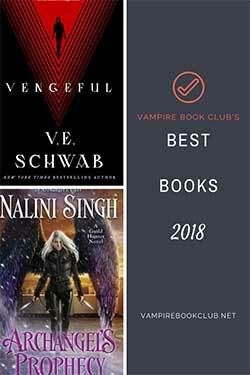 If you haven’t started the series, we suggest you read our review of the first book Dragon Bound. The last Elders Races novella left us with Dragos recovering from a head injury and Liam leaving as a baby and coming back as a little boy. Given his recent growth spurt, his startled parents decide that school would give him some normalcy and help teach him to relate to other children. This makes perfect sense seeing as how he’ll only be a child for another couple of weeks. Enrolling a dragon-child in school involves more than just a supply list from the teacher. After prepping the security detail, programming the emergency phone, and several lectures, poor Liam is as anxious as someone who is less than a year old could possibly be before his first day of school. Snobby teachers, bullies, and an older woman (only in the next grade up, but technically several years older) teach our little dragon some tough lessons. As someone who has read every book in this series more than once, I couldn’t help but feel proud of Liam for making some good decisions. Everything we were lacking in plot (we spend most of book on the playground, for crying out loud), this installment in the Elder Races world makes up for in heart. Big fire-breathing heart! 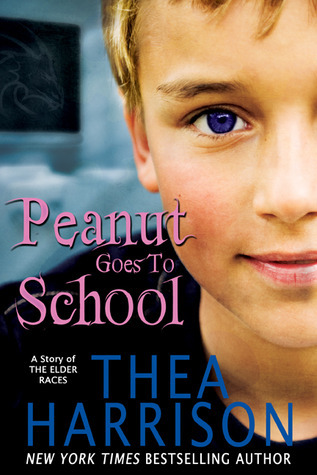 The shortest of the Elder Races novellas to date, Peanut Goes to School crams a lot of schoolyard drama into its pages. 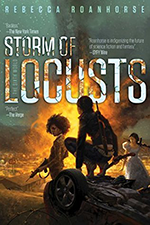 While I thoroughly enjoyed all the family interaction in this story, and wished we could have spent more time at the dinner table, the school scenes were a little tedious. I found myself wishing our Wyr Spy could have gotten involved in something a bit more interesting than some bullying. Even though this is my least favorite of the Elder Races novellas, I still enjoyed it. The concept of Liam growing at such an accelerated rate was hard to wrap my head around, but somehow, looking at it from his dragon’s perspective made much more sense. I also liked getting to see so many of the characters from his perspective. Hugh, especially, is quickly becoming a favorite of mine, and Ilook forward to(hopefully) reading his own book. This book is so clean it squeaks. Seeing as how it focuses on Liam and is told mostly from his perspective, this makes a lot of sense. I also enjoyed seeing Dragos as a father, teaching his son all of these skills he has spent centuries learning. We have come to expect a certain amount of hanky panky from Ms. Harrison, but I suppose we will have wait until Night’s Honor comes out in September for our itch to get scratched.